CCA’s Connecting Kidz & Brighton Collectibles Win Big! Each year Brighton Collectibles stores give back to their communities by holding a nation-wide fundraising competition between their stores. The fundraising period stretches over a couple of months and each store location selects a charity within their community to benefit from their fundraising efforts. This year the Chandler Fashion Center store selected the Chandler Center for the Arts Connecting Kidz program to support. We had a lot of fun working with the store manager and associates to get the word out about the fundraiser and it paid off…big time! The Chandler Fashion Center’s location won their company’s philanthropic national competition by raising the most money. They raised over $8,100 for CCA’s Connecting Kidz program! As a result of their win, the other stores across the country sent their inventory of limited edition American Flag bracelets to the Chandler store to extend their fundraising initiative. 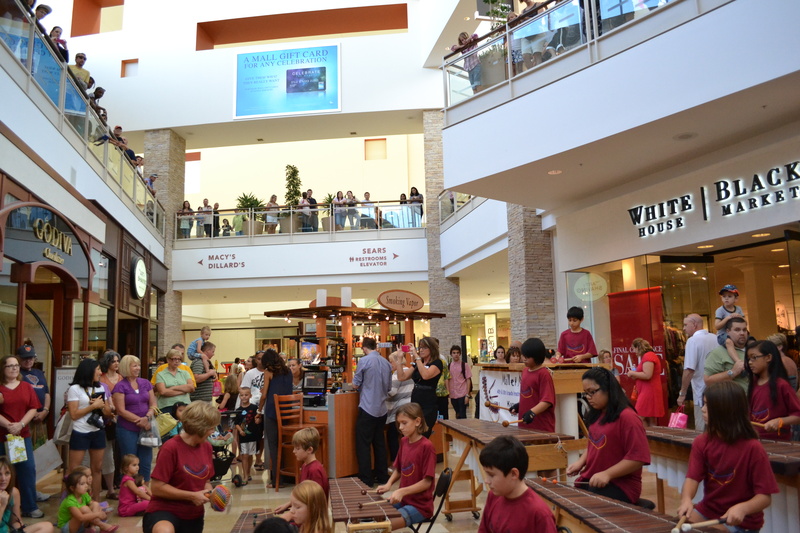 The store celebrated their win and the extension of their fundraising efforts this past Saturday at Chandler Fashion Center with a performance by the Mallet Masters. If you missed out this summer, there is still time to purchase this bracelet. “Vote” for the Arts and the Connecting Kidz program in Chandler by buying the American Flag bracelet! The remaining bracelets will be sold through October 27. Call (480) 726-0263 to order yours today or stop by the store. Thanks Brighton! You guys rock!